Earlier this month, when HTC started pushing an official Android 6.0 Marshmallow update to its unlocked One M8, it said that the One M9 would also get the update sometime "soon." Well, the Marshmallow update is now ready for the unlocked One M9 in the US, and users will be able to download it over the air starting the next 24 hours. 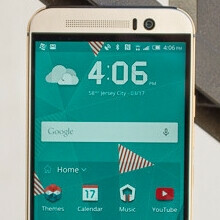 This was confirmed in a tweet by Mo Versi, Vice President of Product Management at HTC USA. There is no word on exactly when unlocked One M9 units that are available outside the US will receive the update, but we assume it's going to happen in the near future. Mo Versi further said that the unlocked HTC One A9 (which already runs Android 6.0) will be updated to Android 6.0.1 Marshmallow in the next 24 hours. In case you're wondering, carrier variants of the One M9 will be updated to Marshmallow starting early 2016. The same goes for carrier variants of the One M8. I wish you guys would make a quick review on the M9+ Supreme Camera, imo, this should've been HTC's flagship for 2015. Yes please....but watch it get a 6/10 so like it matters anyway. One M9 = Biggest flop and one of the worst phones of the year. iPhone 6s = The best phone of the year and the only flop of the phone is its competitors! PSH nah lil home. Its Nexus then Motorola...LG/HTC comes next. Is this still worth getting? Has anyone had any issues with their back camera lens? I'd say you're better off waiting until HTC releases their next flagship. Even if you don't want to buy their next flagship, the release of their next phone will cause the M9 to drop in price.